Police investigating a serious road traffic collision on the Pomeroy Road on Friday afternoon (March 3) have appealed for witnesses to come forward. 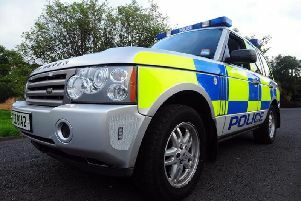 A man aged in his 70s remains in critical condition in hospital as a result of the three-vehicle crash, which occurred at around 2.45pm on the road between Dungannon and Donaghmore. Sergeant Stuart Lowry said: “The collision took place close to a local construction company and involved three vehicles. “A man in his 70s had to be cut from his car was taken to hospital where his condition is described as critical. The drivers of the other two vehicles sustained minor injuries. “We would ask anyone who witnessed this incident to contact police on the non-emergency number 101, quoting reference 593 of 3/3/17.